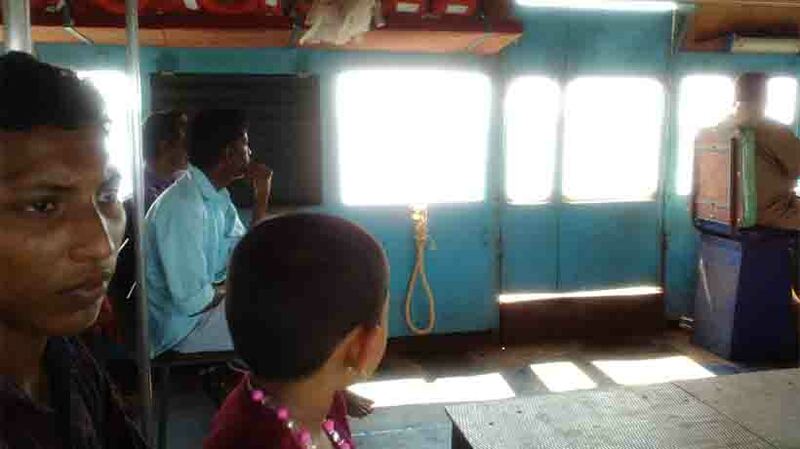 Image credit : A woman and her son among others travelling on board a government boat from Kumarakam in Kottayam to Muhamma in Alappuzha without wearing life jackets. Kochi : Tourists taking boat rides in Kerala need to be cautious as authorities are not bothered to implement safety norms. With the beginning of summer vacation, a large number of tourists visit Alappuzha, Thekkady and number of such water tourism destinations. The drowning of a two-year-old girl Anvitha Shetty from Maharashtra in Pamba river at Kainakkary in Alappuzha is a lesson for others. Safety is the responsibility of the tourist, albeit the duty of boat operator and government. Anvitha’s father did not know swimming, and yet he jumped into the water to save his daughter as there were no boat crew nearby to make timely interference and save tinytots. The IT professional Shetty, 37, was saved from drowning by the local people standing near Mundakkal bridge where the boat was anchored on Tuesday evening. Tourists should insist on life jackets as crew members would never take pains to encourage people to use them. As per norms, the boat crew are responsible for taking care of the safety of the tourists, but on ground they are not even aware of the mandatory safety conditions they need to follow. A number of boat mishaps at different places in the State had claimed innocent lives as the victims were not wearing safety jackets. Interestingly, parents of the infant have not lodged a police complaint against the boat operators for not providing them the life jackets. The responsibility of providing security was on the ports department, a top tourism department official told The Covai Post on condition of anonymity. He said the department was required to carry out surprise inspection to ensure that the boat operators insisted on tourists wearing safety jackets. The matter had been taken up by District Collectors in Alappuzha a number of times at higher levels, but in vain. Ports Minister Kadakampallly Ramachandran was busy at a function and was not available to react.